Ocala, Florida — The Ocala Police Department is currently investigating two armed robberies. Both robberies took place on Sunday night between 8 p.m. and 11:30 p.m. 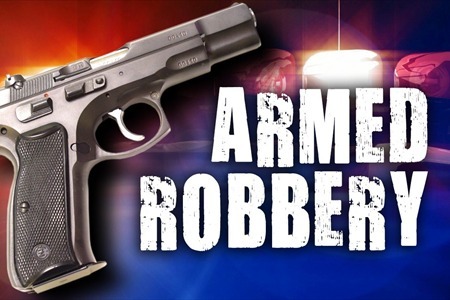 In the first robbery, which took place at the Texaco Station, located at 3401 Southwest College Road, a man, along with his accomplice, pointed a gun at the clerk and told her he would shoot her if she did not hand over the money. Police said that the woman complied with the robbers and they escaped with money and cigars. In the aforementioned robbery, the suspect who pointed the gun was wearing a white panda bear-type hat, brown jacket, light-colored long-sleeve shirt, gray sweat pants, dark-colored high-top shoes, and something over his face. His accomplice was wearing dark-colored pants, dark shoes, and a dark hooded jacket. According to police, the second robbery occurred at Gloria’s Beauty Salon, located at 729 Northwest 16th Avenue. Police said that the victim let a man into the salon, then two more men entered and were wearing black ski masks. According to reports, one of the suspects had a gun and yelled for the victim and another person to get on the ground. Police said another suspect held a gun to the back of the victim’s head and demanded money. Police said that the thieves took the keys to the salon, money, keys to an employee’s car, and a Samsung tablet. No other descriptions were provided about the suspects. If you have any information about the aforementioned cases, call the Ocala Police Department at 352-369-7000, Crime Stoppers at 368-STOP, text 274637 using keyword 368-STOP, or visit www.ocalacrimestoppers.com. Anonymity is guaranteed.